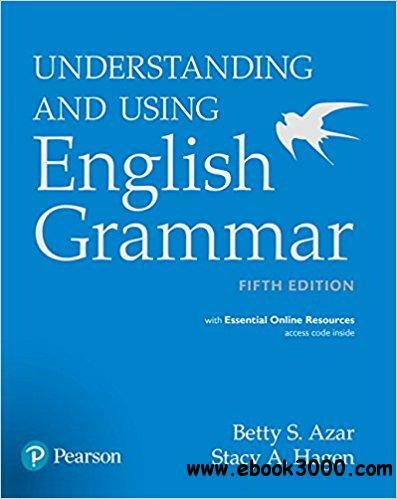 For nearly forty years, Understanding and Using English Grammar has been the go-to grammar resource for students and teachers alike. Its time-tested approach blends direct grammar instruction with carefully sequenced practice to develop all language skills. New to This Edition Pretests at the start of each chapter enable learners to check what they already know. Updated grammar charts reflect current usage and highlight differences between written and spoken English. A new chapter on article usage. A variety of high-interest readings include reviews, articles on current topics, and blogs that focus on student success. Additional incremental practice helps learners better grasp concepts, while thematic exercises and integrated tasks offer more contextualized language use. Step-by-step writing activities are supported by writing tips and pre-writing and editing tasks. New Essential Online Resources include Student Book audio, Student Book answer key, Grammar Coach videos, and self-assessments.